Take a fascinating journey from the rivers of North Carolina to the depths of the ocean at SEA LIFE Charlotte–Concord. You’ll see more than 5,000 marine mammals, tropical fish and other sea creatures such as the giant Pacific octopus. Learn about all the creatures under the surface of the ocean, observe a feeding frenzy and gaze at sharks overhead through a 180-degree tunnel. Take an underwater journey from the rivers of the Blue Ridge Mountains to the shores of the Atlantic Ocean and beyond at SEA LIFE Charlotte–Concord, located in Concord Mills Mall. At more than 30 fascinating exhibits, see diverse ocean species, displayed within authentically themed habitats that are influenced by the natural surroundings of North Carolina. Observe some 5,000 creatures, including sharks, stingrays, jellyfish and seahorses. 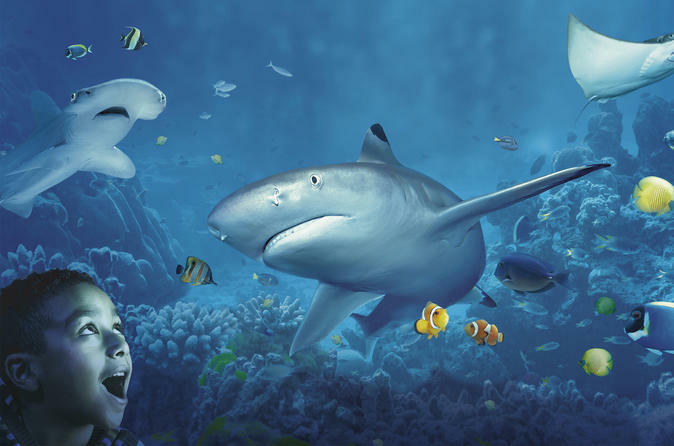 Enjoy a mix of education, marine conservation and interactive fun at SEA LIFE’s video theater and quiz trail. There’s something for every member of your family. As you make your way through exhibits including the giant Pacific octopus (the largest octopus in the world), watch shy seahorses feed on shrimp, spy clown fish and sea turtles and observe jellyfish floating inside cylindrical tanks that mimic ocean tides and currents. Stop by a tank of blacktip reef sharks which come from the tropical coral reefs of the Indian and Pacific oceans and enter an underwater tunnel for a 180-degree view of sharks and stingrays as they swim past. Passionate about preserving marine habitats and the species that live in them, the informative staff at SEA LIFE Charlotte–Concord celebrates everything about the sea. The aquarium hosts shark and ray feedings, as well as educational demonstrations throughout the day. Learn about successful breeding programs for endangered animals and discover how the aquarium supports worldwide conservation projects.